Is the Nobel Peace Prize still worth anything? The Nobel Peace Prize was awarded this morning and our two journalists, Craig Farrell And Greg Synnott decided to debate its merits. Craig Farrell believes it still holds value. Due to the uproar caused by the recent nomination of Vladimir Putin for a Nobel Peace Prize, the question has been asked; is the Nobel Peace Prize become insignificant, and the answer is absolutely not. The fact the nomination of Putin, who many condemn for the treatment of the gay community in Russia, has sparked such outrage shows how the Noble Peace Prize is still something that people see as having a purpose, and a social and global goal. 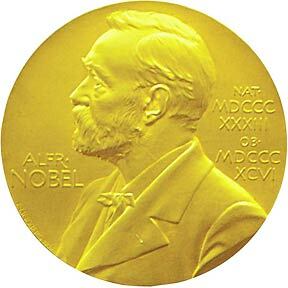 It must be noted that the Nobel Foundation does not take part in any of the nomination process. University rectors; professors of social sciences, history, philosophy, law and theology; directors of peace research institutes and foreign policy institutes. A Russian advocacy group, The International Academy of Spiritual Unity and Cooperation of Peoples of the World, was the group behind the Putin nomination, and they also let it be public knowledge as all nominee lists remain secret for 50 years. Putin’s nomination was probably political peacocking on the Russian’s behalf, seeing how both Putin and Barack Obama both have Nobel Peace Prizes to their names. The Russian and US president had open letters printed by the New York Times recently in regards to the Syrian crisis, in which both leaders took shots at one another. Putting Russia’s treatment of the LGBT community aside – as hard it may be to overlook – Putin has still made some significant strive in creating peace. He played an integral part in preventing a Iraq-like invasion in Syria and had a helping hand in chemical weapons being handed over by the Syrian government. Russia has also held talks with Georgia regarding the differences between those countries. So in the grand scheme of things there is some validity to Putin’s nomination. I am not condoning his treatment of the gay community. In fact I would be abhorrently against it. However, Putin has facilitated peace in certain areas outside of Russia. The Nobel Peace Prize has the ideal of awarding someone who has made a major contribution towards peace in the world, and that is an ideal that can never be insignificant. The nomination process may be flawed – much like everything in life – but the goal it strives towards is the same when the likes of Martin Luther King (1964), Mother Teresa (1979) and Desmond Tutu (1984) received their awards. But is the Nobel Peace Prize Damp Dynamite? On October 11th, we’ll learn whether the Norwegian Nobel Committee is interested in reviving the Nobel Peace Prize to its former glory or whether it will be putting another nail in the coffin for a prize that many consider to have become more of a joke than noteworthy line on someones CV. Alfred Nobel’s vision for the prize was created in good will and not as an achievement to proponents of war as we’ve seen with former winners like Barack Obama and the European Union. The European Union receiving it is a blatant violation of Nobel’s will alone, not to mention the fact it defies Nobel’s will, it has been frequently criticized for supporting regime change in foreign countries with several member-states have supporting violent crackdowns on anti-government demonstrators. Disregarding the obviously laughable options among the 259 nominees, 50 of which are organisations, the favourites for this year barely qualify, if at all. This includes Malala Yousafzai and Denis Mukwege whose work for education and work to aid victims of sexual violent acts respectively should be honoured with an award, but not this one. It cannot be denied that the prize provides recipients with world exposure, sometimes bringing activists and their causes to international attention. But when an award can go to a president who took office 11 days before the final date of submission in 2009, it has to be asked, what is the criteria for such an award? Clearly Obama’s only noteworthy point at the time was not being George W. Bush, with that their were seven billion other possible nominations. The “Peace” Prize has gone through numerous controversial candidates in its long history. Let’s celebrate those who have surely contributed to human welfare and relegate subjective calls to the political spheres that are both their natural habitat and their rightful place: The Committee should disband and nominate no more recipients of the Peace Prize. Should Ireland reintroduce capital punishment?